There are contractors. There are accountants. But, construction financial professionals are unique. For them, day-to-day accounting is only part of the job. From job cost control and the contract life cycle to risk management and surety relationships. The Chapter enjoys strong leadership from year to year. Chapter Officers & Directors are local construction financial managers who have your best interest in mind when developing and holding programs and seminars. 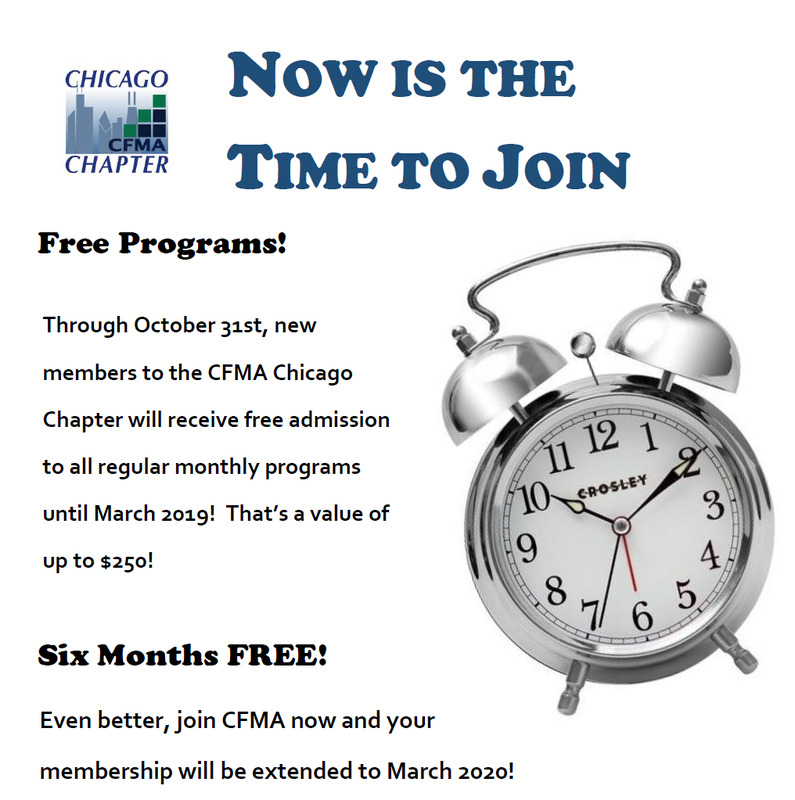 Visit www.cfma.org/membership for more information and to join today! The Chicago Chapter was formed in 1985 and is one of 94 chapters throughout the U.S.
Local Networking: Gain access to a network of over 275 professionals from the top companies in the Chicago area. Education and CPE: 8 Monthly education meetings and a minimum of two major classes per year. Meetings are held around the Chicago area and include breakfast, lunch and dinner meetings. Earn your Continuing Professional Education (CPE) credits with CFMA programs. Local Industry: Stay on top of current local information affecting our industry. Career Tools: Prepare for the next step on the career ladder with professional certification, a job resume bank, and industry links. General Member Dues are $355.00 plus $75.00 local chapter dues. View all membership types here. At the bottom of the CFMA application is an option to join the local chapter. Select the Chicago Chapter and National will inform us that you have joined. If you have any questions about the Chicago Chapter, please don't hesitate to contact the Chapter Administrator, Deb Hypke, dhypke@managementservices.org or 815-806-4908. We hope to see you at a Chapter event soon.